Mix the lyric-driven piano rock of Andrew McMahon, Ben Folds & Sara Bareilles with the adrenaline rush driving synth-pop of CHVRCHES, and you might have an idea of the sound of “UNDENIABLE” – the new EP from singer-songwriter Matthew Jordan. After a successful IndieGogo campaign, raising 117% of target funds, the new EP drops October 2018 on all digital retailers. Some know him from his starring role in the timeless Five For Fighting music video, “100 Years”. Others remember his appearance on the Vanessa Carlton episode of MTV “Duets”. And many have heard his music on shows such as MTV’s “Made” and “True Life” or TLC’s “Candy Queen” and “What Not To Wear”. In 2014, Matthew was welcomed into the Yamaha family as an officially endorsed artist. He has since been featured in promo videos for new Yamaha products, and is thrilled to represent the brand, playing his CP4 stage piano and Motif XF-6 at many gigs across the country. Jordan regularly performs at jam-packed clubs and venues all over Southern California including Genghis Cohen, Molly Malone’s and The Hotel Cafe. When on the road, he frequents clubs like Uncommon Ground in Chicago and The Bitter End in NYC. However, Jordan spends much of his time traveling the country playing keys for many other bands and artists. For more information on the many artists Matthew has worked with, scroll down and read on! In addition to his own music, Matthew Jordan frequently works with other artists and singers as a musical director, keyboard player, back-up vocalist and producer. The long and diverse list of talented artists that MJ has worked and performed with includes Mark McGrath (Sugar Ray), Sabrina Carpenter (Hollywood Records), Everclear, Terri Nunn (Berlin), Martha Davis (The Motels), Skip Martin (Kool & The Gang), Steve Augeri (Journey), Rick Derringer, Tommy Tutone, The Rembrandts, Kaya Stewart (Warner Bros Records; daughter of Dave Stewart from the Eurythmics) and Nina & Randa (YouTube sensations). 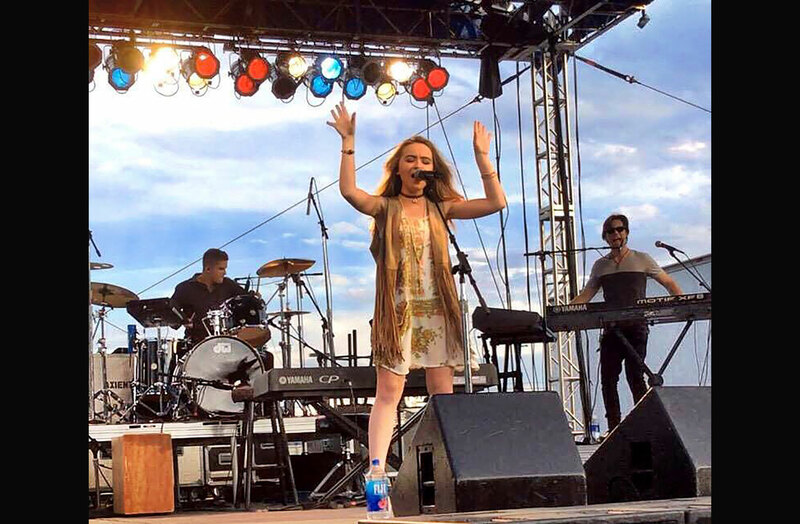 Jordan has performed all over the country as well as internationally, from a video shoot on Disney’s Castaway Cay in the Bahamas, to a concert in front of 16,000 screaming fans at Molson Canadian Ampitheatre in Toronto. Most recently, he wrapped a 6 week long, 35-show national tour playing keys and singing back-up as part of indie pop-rock band Rooney (with front-man Robert Schwartzman). The band’s “Ultrasonic Summer Tour” sold out many venues in 26 states including Lincoln Hall in Chicago, Bowery Ballroom in NYC, Lee’s Palace in Toronto, The Independent in San Francisco and The Teragram Ballroom in Los Angeles just to name a few. MJ’s list of TV & radio appearances includes iHeartRadio, The AV Club, KUTX Austin, “Fox and Friends”, YTV’s “Summer Beach Bash”, “Radio Disney’s Family Holiday”, and the 2015 Radio Disney Music Awards. For photos and video of Matthew Jordan’s work with Rooney, Sabrina Carpenter and other artists, check out the “Gallery” and “Video” sections of this website. Matthew is also available for production work. If you’d like to speak to him about a potential recording project, or are interested in his services as a musical director or keyboard player for your band or artist, please email mj@matthewjordan.com.